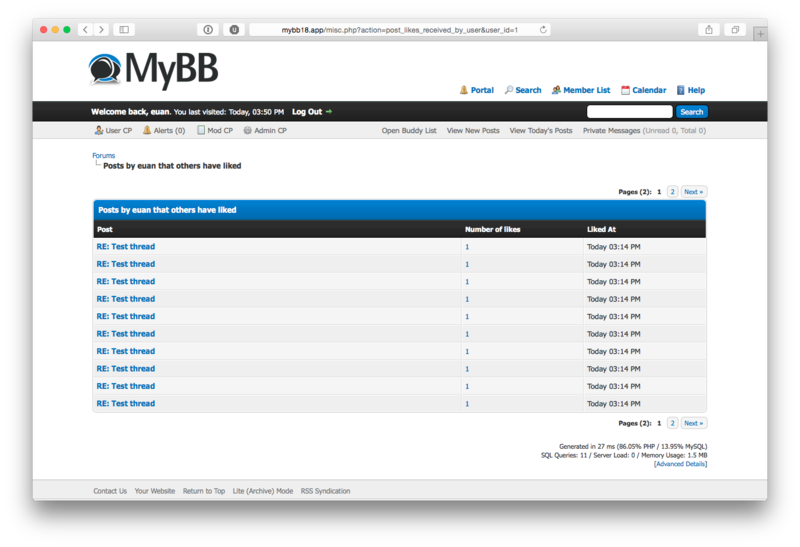 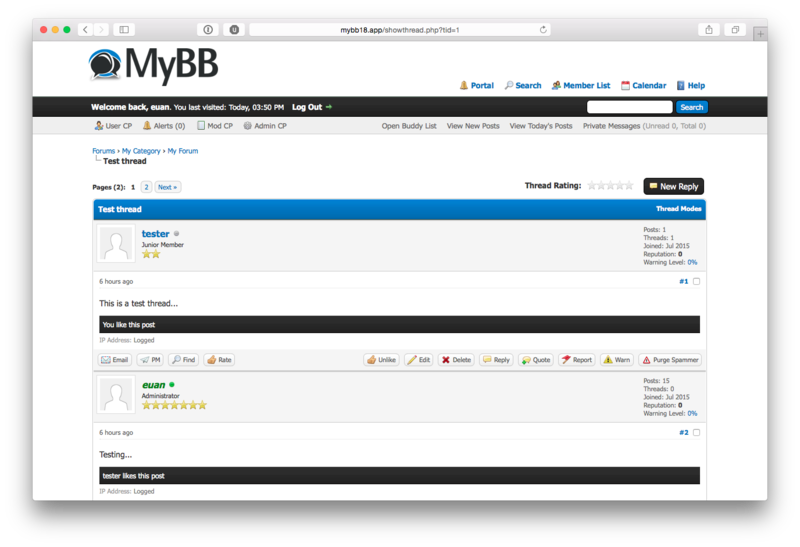 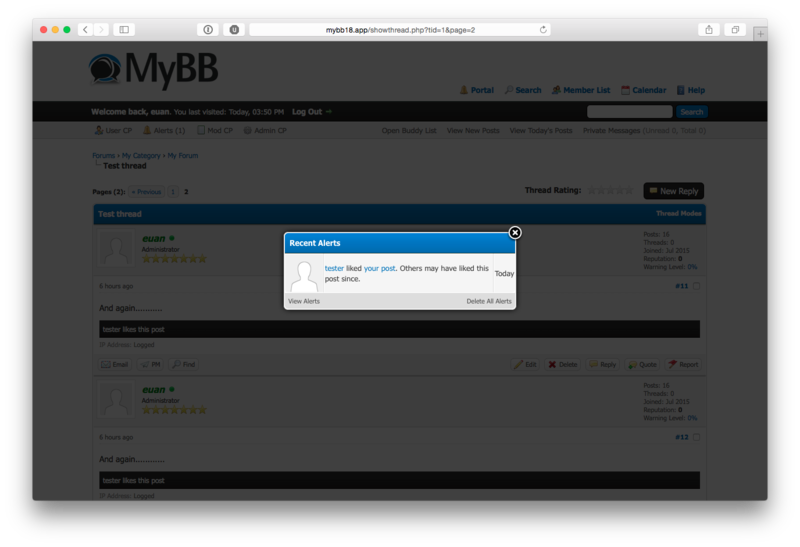 A simple "like" system for MyBB. 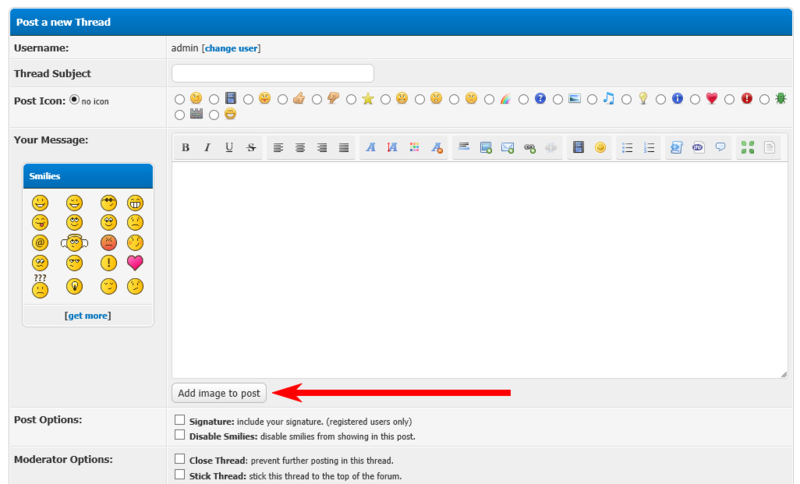 This plugin adds the functionality for users to like each other's posts. 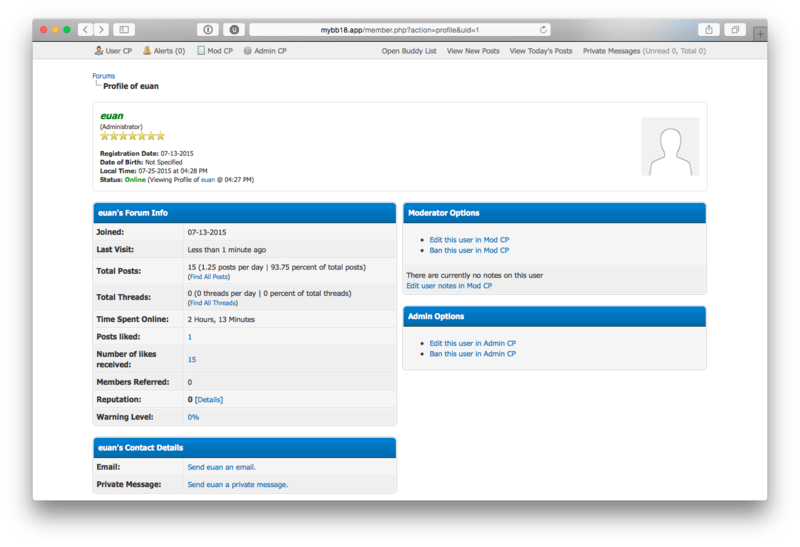 The plugin is fully integrated with MyAlerts to alert users when their posts are liked and is completely AJAX driven. 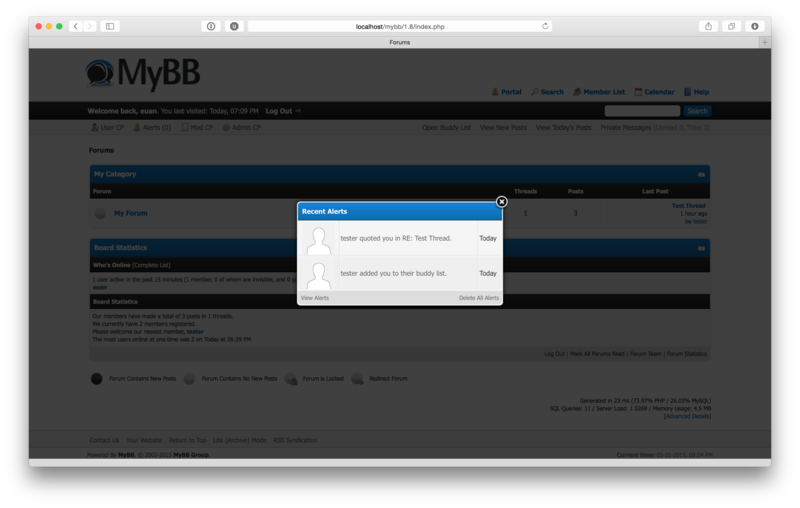 MyAlerts is a plugin aiming to provide a simple notification system for MyBB.